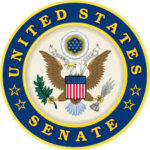 The U.S. Senate today passed a sweeping bill aimed at combating the opioid epidemic. U.S. Sen. Bill Nelson (D-Fla.) took to the Senate floor today to urge the placement of early voting sites on college campuses before the upcoming midterm elections. Sen. Nelson’s speech comes on the heels of a recent report that indicates that it’s unlikely the University of North Florida will host an early voting site available to students in time for the upcoming midterm elections, despite a ruling issued by a federal judge in Florida last month that permits early voting sites on college campuses. “I’m hopeful that the logistical and other issues can be resolved as quickly as possible and that Florida’s universities can host early voting during the general election,” Nelson said. Sen. Nelson: Mr. President, folks are voting today in Florida. As a matter of fact, they’ve been voting for some now weeks since Florida has started voting, which started a couple of weeks ago, and they’re voting in early voting, a period of time of up to two weeks prior to the August primary, the 28th of August. They’re voting early in these elections. They’re exercising their most fundamental right, which is to vote. And of course there’s so much at stake for Florida and our country in this year’s elections. Last month a federal judge in Florida overturned a 2014 ban on early voting, and it was a ban on college campuses. Back in 2014, the legislature passed and the governor signed into law a series of restrictions to make it harder to vote instead of easier. And one of them that was then implemented by the division of elections, secretary of state, was that there could not be a voting place on a college campus. Well, Mr. President, we have state universities just like other states do that have huge numbers of students. And of course if you want to make it easier for students to vote instead of having to go out in the community, it’s quite logical to have a place for them to vote on the campus. Well, that has been the attempt in the past, was to ban the voting. And the particular case that I weighed in on a few years ago was they were banning voting from the student union building at the university of Florida in Gainesville, a campus, by the way, that enrolls some multiples of tens of thousands of students. Well, a federal judge, in a scathing opinion, overturned this ruling, saying that the ban by Florida law was unconstitutional and that it seemed to put in place a prohibition of a geographical location of voting as a means by which to hinder younger voters, specifically students, from casting their ballots. And because of the judge’s ruling, the federal judge, there now will be an early voting location on the campus of the University of Florida during the general election in this coming November. But according to press reports, it doesn’t look like that’s going to be the case in all places around Florida’s colleges and universities. We have just read a newspaper report that Supervisor of Elections in Duval County — that’s Jacksonville — says he might not be able to set up an early voting location on the campus of the university of Florida in time for the general election due to logistical and financial concerns. Well, I hope now that the federal judge has ruled in this case, making it very clear the judge’s displeasure of not making it convenient for students to vote by refusing to set up a precinct on the location of the college, in this case university campus, I’m hopeful that the logistical and other issues can be resolved as quickly as possible and that Florida’s universities can host early voting during the general election. Early voting is a key to ensuring access to the ballot for all voters. What we’ve found with the early voting, and now with vote by mail, that increasingly larger percentages of the voting electorate are utilizing that opportunity to vote instead of waiting until the last day, election day, November 6. Unfortunately we’ve seen some efforts in Florida over the last decade to curb access to early voting, particularly among young, low-income, and minority voters. We ought to be making it easier to vote, not harder. And I hope in all of the multiplicity of universities and colleges all around Florida that the supervisors of election will pay attention to the federal judge’s ruling and act accordingly. Local elections officials, like Hogan, have been put under pressure to get early voting sites on college and university campuses across the state. That comes after Secretary of State Ken Detzner told a federal judge that Florida would comply with an July 24 order that struck down a policy barring early voting sites on college and university campuses. The ruling resolved questions over a 2014 advisory opinion by state Division of Elections Director Maria Matthews, advising elections supervisors that a 2013 law expanding early voting sites to various public facilities didn’t apply to colleges or universities. The League of Women Voters of Florida, the Andrew Goodman Foundation and six University of Florida and Florida State University students filed a lawsuit challenging that guideline earlier this year. U.S. District Judge Mark Walker sided with those students and the voting-rights groups when he found that the Department of State’s ban against campus early-voting sites was “facially discriminatory on account of age.” While Walker’s ruling doesn’t require voting sites on college and university campuses, it makes it clear they are an option. But the ruling came too late to get early voting sites set up at college and university campuses before this month’s primaries because supervisors of elections are required to publicize their early voting sites at least 30 days before elections begin. Hogan had already posted Duval’s early voting sites because early voting was scheduled to begin in the county on Monday, Aug. 13. And Hogan said it’s not likely to happen by the November elections either. He said in addition to UNF, he’s been asked to open a site at historically black Edward Waters College. Hogan said he’s not yet convinced it would be worth the money and effort. But he said that might not mean an actual early voting site on the campus. Hogan said when it comes down to it, the decision will depend on the size and density of the UNF voting population. UNF officials say nearly 3,400 students live on campus. That’s out of a total population of almost 16,500 – making UNF a commuter school, for the most part. That means most students wouldn’t be voting on campus anyways. They’d be voting in their neighborhoods or wherever they live. And even if Hogan and UNF officials agree to set up an early voting site and they’re somehow able to hash out the details before the site posting deadline, which is Oct. 7, several logistical issues could still keep things from materializing before November. The Supervisor of Elections doesn’t have room in his budget to add any new sites, he said. But, the city is going through the budget process now and Hogan thinks the Council would agree to additional funding needed to cover salaries and equipment that would be required at any new sites. Another issue is the equipment. The U.S. Department of Transportation’s Federal Transit Administration (FTA) today announced the allocation of $22.8 million to 15 public transit systems across Florida impacted by Hurricanes Harvey, Irma and Maria. The funding, sought by U.S Sen. Bill Nelson (D-FL), will help the agencies pay for hurricane response costs, including replacing and repairing damaged equipment and facilities and projects designed to reduce the risk of future storms. Congress approved $330 million for the FTA’s Emergency Relief Program in February. In addition to Florida, the FTA today also announced transit agency allocations of $223.5 million for Puerto Rico, $23.3 million for Texas, $6.7 million for the U.S. Virgin Islands and $187,000 for Georgia. Below are the Florida agencies receiving funding. Click here for the FTA’s funding announcement in today’s Federal Register.